Cyber Monday is here and our partners over at Wellbots are having a big sale. 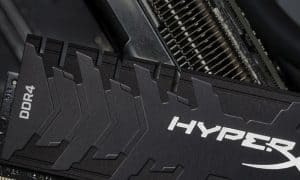 You can check out all of the cool Cyber Monday deals by going to the main website or you can browse these handpicked offerings below. Either way, there’s bound to be something for any home or toy tech loving person. Be sure to check out the DJI drones below as there is a special coupon code to get $100 off! Without further ado, here’s a few Cyber Monday deals from our partners at Wellbots! 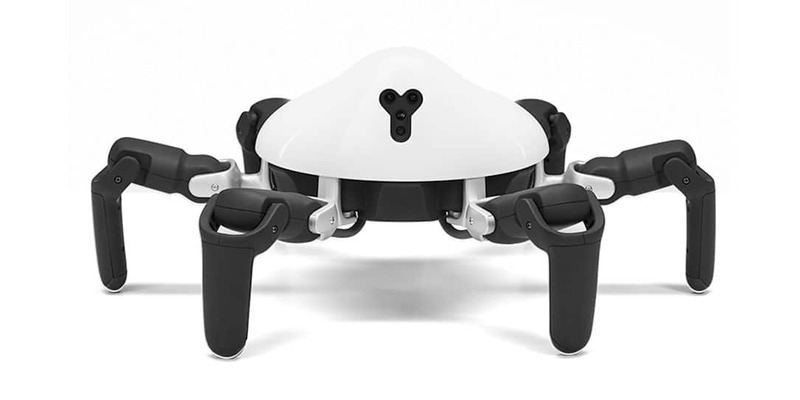 Meet HEXA, a six-legged, agile, highly adaptable robot that’s got more gusto than you can imagine. With HEXA, you now have the ideal platform to learn and explore robotics. Start creating the robot functionality you’ve always envisioned. HEXA is a robot designed to thrive in the real world. Its six-legged structure delivers a high level of maneuverability and therefore versatility in the functions it can perform. It nimbly handles different environments and terrains and its compact, lightweight body makes it convenient to fit into your daily life and easy to tinker on. HEXA’s camera allows it to interact with and learn from the world around it. Other sensors include two three-axis accelerometers for balance, infrared transmitter and a built-in distance measuring sensor for avoiding obstacles. The Vincross HEXA Compact Robot is normally $949USD but on sale now for $849USD. Clean your space thoroughly with the advanced technology of the Neato Botvac D7 Wifi Connected! The Ultra Performance Filter and the advanced spiral combo brush capture efficiently small particles, allergen, dust, and pet hair everywhere dirt hides. The exclusive D-shape design featuring CornerClever technology tracks down dirt in corners and along walls for a perfect final result! Save time and energy thanks to the LaserSmart™ mapping and navigation system. 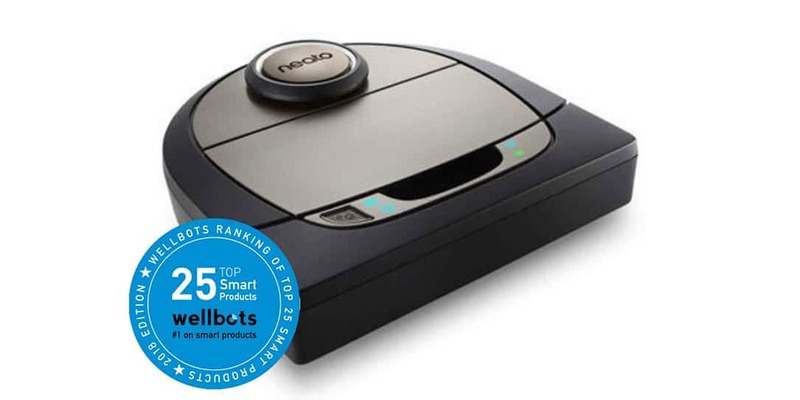 The Neato Botvac D7 scans and maps multiple rooms to find the most efficient path. It results in a greater coverage, a faster cleaning and a better care around furniture, objects and, stairs. And lasers even enable your robot to clean in the dark! The Neato Botvac D7 is normally $799USD but is on sale for Cyber Monday now for $599USD. Professor Einstein is the playful robot that teaches science and plays brain games. 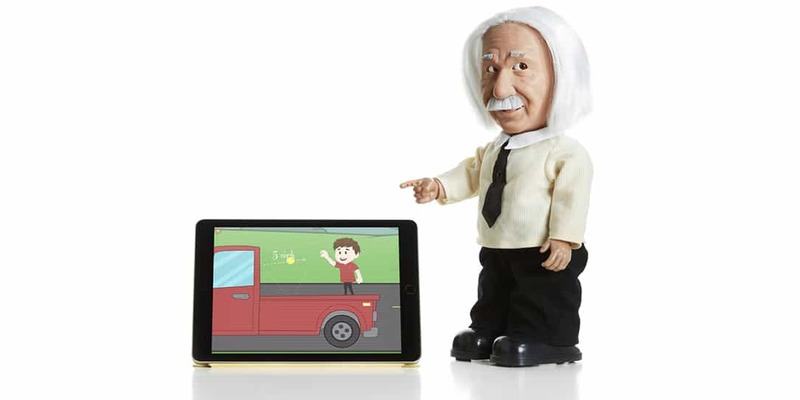 This endlessly entertaining and educational Wi-Fi-connected robot lets you interact with the authentic Einstein, the most beloved scientist of our time. He teaches actual Einstein theory of relativity, gravity, and spacetime. Science Tutor Professor Einstein is your Personal Genius and guide to a world of wonderment! He loves to have a conversation using his speech recognition engine. Professor Einstein will respond with accurate answers, plus add his own funny comments, facial expressions, body movement & hand gestures. 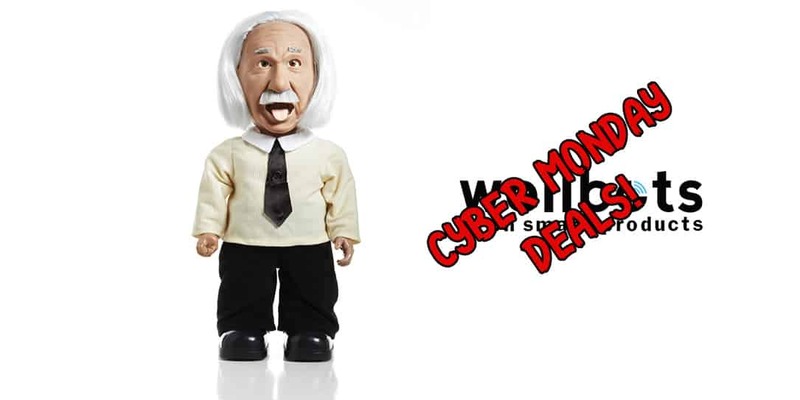 Professor Einstein is normally $199USD but on sale now for $159USD. Meet Meural – your personally curated home art gallery all in one sleek and beautifully designed, handcrafted digital frame. 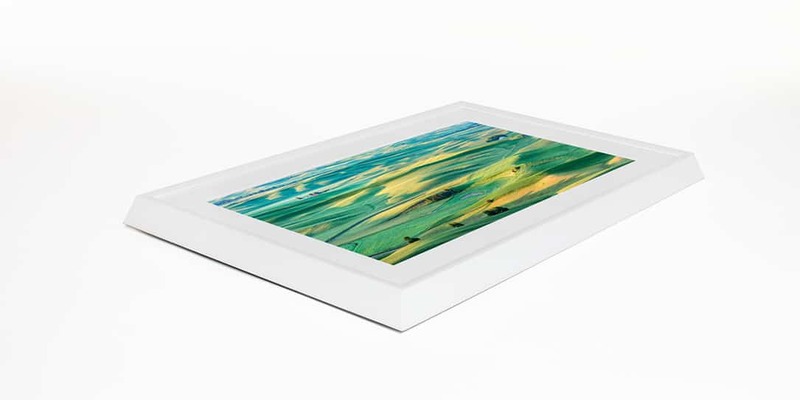 Meural is unlike any digital frame on the market and represents the future of stylish home décor. Rather than having to settle for one image or portrait to adorn your walls, Meural allows you to enjoy contemporary and classical artworks alike and interchangeably with its stunning hi-resolution screen. Thanks to the frame’s Wi-Fi integration, easy to use smartphone and desktop applications, which also double as remotes, you have access to over 30,000+ works of art with a single touch. Even cooler, you can change what you see with a simple wave of the hand. Feeling in the mood for a Van Gogh, swipe left or right until you find it in the gallery. Want to learn more about what you’re seeing? Swipe up for a detailed description of the image. Tired of classical landscapes? Swipe up twice to view your other collections and pick one that you’re in the mood for. Meural is that easy and that beautiful. The Meural Canvas is normally $595USD but on sale for Cyber Monday for $530USD. There are two variants of this device both at different price points. The DJI Mavic 2 Pro and Zoom are top-notch and elegant drones equipped with the most advanced technology ever seen in this market. The photo and video possibilities are endless and the footage quality (4K Camera) have never been this stable and smooth with DJI’s 3-axis gimbal technology. Truly the best consumer drone you can possibly find. The DJI Mavic 2 Zoom is equipped with a 2 x Optical Zoom Camera allowing it to zoom with extreme precision and quality. Also, the 8km 1080p video transmission, as well as its 31-min Flight Time are making it a very easy to use drone. Finally, the Omnidirectional Obstacle Sensing to avoid obstacles and the Hyperlapse feature are opening large flying possibilities and allow you to capture adventures and experiences under a larger range of different angles. The DJI Mavic 2 Pro is equipped with a Hasselblad camera which is renowned for their gorgeous image quality and the Swedish craftsmanship that was involved in the ergonomic design. This all-new L1D-20c camera possesses Hasselblad’s unique Hasselblad Natural Colour Solution (HNCS) technology, helping users to capture gorgeous 20-megapixel aerial shots in stunning color detail. Also, the 8km 1080p video transmission, as well as its 31-min Flight Time are making it a very easy to use drone. Finally, the Omnidirectional Obstacle Sensing to avoid obstacles and the Hyperlapse feature are opening large flying possibilities and allow you to capture adventures and experiences under a, as well as its 31-min Flight Time, and range of different angles. 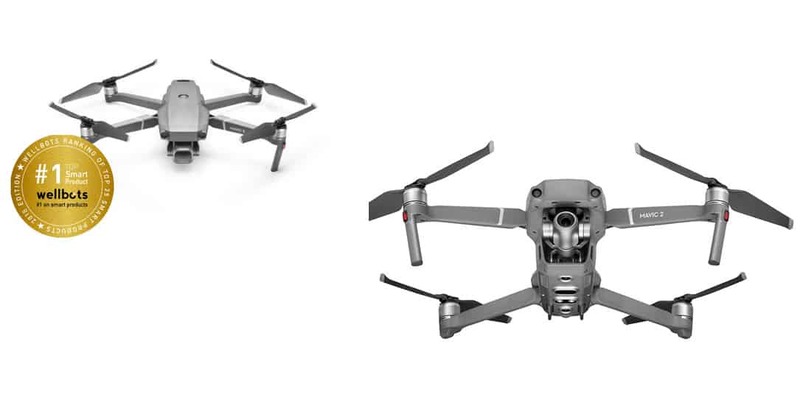 The Mavic 2 Zoom is priced at $1249USD and the Mavic 2 Pro is priced at $1499USD. To get $100 off just use coupon code DJI100 at checkout! What do you think of these Cyber Monday deals? Let us know in the comments below or on Google+, Twitter, or Facebook.